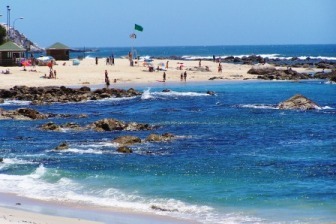 Looking For Tourist Attractions in Chile? There are so many tourist attractions in Chile I don’t know where to start. Well let me start I guess from the beginning, the far north. By the way I’m going to talk about the tourist attractions in Chile in general for each area, if there’s something that interest you then click on it and you can get more detailed information. Please have patience I’m doing them as fast as I can, it’s a lot of information. Desert, desert, desert… this is what you come to see here, one of the most arid deserts in the world ( the Atacama desert ), but it also has amazing sceneries with mountains and it’s own vegetation. The salt flats and the Pampas (extensive plains) and the geysers are other typical attractions of this region. This is the place to have a chance to see a floral desert, something that you won’t find just anywhere. 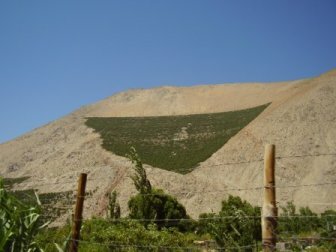 Also the copper mines, the far north has Chile’s biggest copper mines which is one of the main economic incomes of this country. 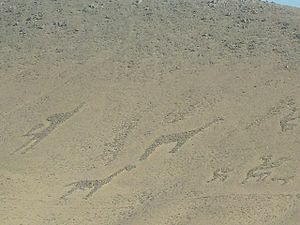 Something else that you would want to see here, that you won’t find anywhere else in the country it’s the geoglyphs . If you’re wondering what a geoplyph is, it’s a really really old drawing on the ground. Some of them date back to 1000- 1400 DC. It’s one of the best tourist attractions in Chile, of the far north and you get the chance I would recommend you see them. In the lower part of this area is located La Silla Observatory, this is operated in Europe by the European Southern Observatory. It has nine telescopes. 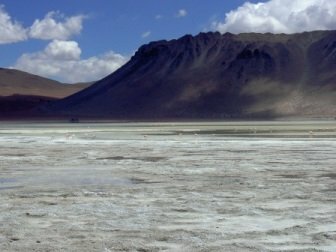 Then there are other things that you’ll find in the rest of Chile but with a different aspect such as the valleys (very special here), thermal baths, national parks and reserves, the beaches (although here they are white sanded), lagoons, national monuments, the shopping areas and the casinos. This place is a very mystical place. There are a lot of places where you see wonderful things that make you realize the beautiful things that nature creates on its own. But then again a lot of the tourist attractions in Chile do this but in different ways and with different scenery. What you have to see here, because you won’t be able to see any where else in Chile, is the Observatories. The observatory up north doesn’t give you the chance to have tours during the night, like some of the ones do here in this area. This is a night tour you HAVE to do. You can’t leave here with out seeing the stars under such a clear sky. Something else that’s special here are the valleys, there are a few to see but if you don’t have time to see them all at least see the Elqui valley. Then there are the national parks and reserves, a nice one here is the Forest of Fray Jorge National Park. The thermal baths, the beaches, the reservoirs, the national monuments, the bays, the shopping areas and the casinos are other tourist attractions in Chile and in this part. This part is more of a city area. What do I mean by this? It’s very industrialized. Here you’ll find almost anything you want to buy or to do but everything seems to be in a faster pace then the rest of Chile. Click here to go to tourist attractions in Santiago. Don’t get me wrong there are really beautiful beaches in its coast, great mountains for skiing and very beautiful fertile valleys with vineyards to visit, but get used to seeing a lot of people and traffic every where you go. But for those who want to shop around, have an endless list of attractions and sites to see, want a very fun nightlife and don’t mind the traffic, the long distances and the wait, then this is the area for you. 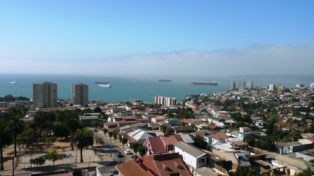 Most Chileans love this area, that’s why there are so many people in these areas. So what tourist attractions are there in this region, other than the one’s I just mentioned? Besides all the shopping, restaurants, hotels, discos, zoos, entertainment parks etc, there are many national parks and reserves, lagoons, breaks, hot water springs, horse and cattle ranches, reservoirs and dams. In fewer amounts you’ll find lakes and peninsulas. 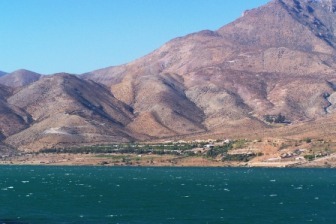 Can you guess why it’s called the lake region? Every where you look you’ll find parks and lakes, parks and lakes and more parks and lakes. So if you’re a hiker and or a site seer this is the place for you. Oh yeah and the fishers won’t do so badly down here either. What do you come to see here? In one word; Nature. It’s full of wonderful lakes, some with some of the best beaches in the country with warmer water than the ocean. At this point of the country they start to turn dark sanded. In the lakes you find many peninsulas and islands to visit. In the most southern area, there is the big island called Chiloe, which is very different from the rest of the country, a must see might I ad. 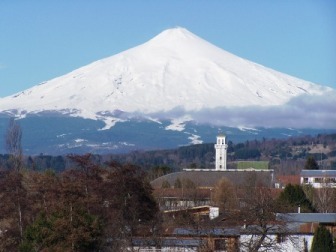 Also found in abundance are the volcanoes which can be hiked up and in the winter are used for skiing. These volcanoes produce a whole bunch of hot water springs in this area so there are a lot of thermal baths to visit here. There are a lot of national parks and reserves to visit, some with waterfalls and lagoons. In the southern parts you’ll find castles and forts to visit. This part of Chile has a strong presence of one of the still remaining native cultures called the Mapuches. You’ll see a lot of their art and houses, which are called Rucas, around. One of the most famous tourist attractions in this area is the Austral highway (Carretera Austral). This is a route that takes you to the most southern part of Chile, through the Patagonia, is mostly unpaved. The beauty of it is the scenery which is mostly Patagonian Andes Mountains, lakes and rivers and ice fields. 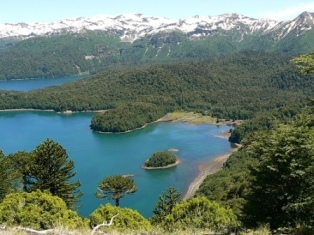 Once in the Aysen area you’ll want to see in this area the glaciers. There are tours that will take you out to the canals and the lagoons to see these spectacular glaciers and icebergs. 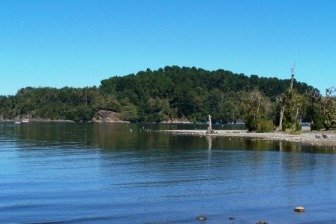 Here to you’ll find beautiful lakes to look at, some with islands and others that are great for fishing too. This area is also full of national parks and reserves to go see. There’s thermal baths and wonderful rivers to see, some with waterfalls. Here too you’ll find some small mines and interesting caves to visit. And there are a few ski areas in the region for the sport lovers.